Trump and Clinton in a dark debate about the future of the U.S.
Donald Trump started off apologetic at last night’s second presidential debate, but quickly went on the attack against Hillary Clinton. Donald Trump stalked around the debate stage last night, not sitting down on the provided stools as Hillary Clinton tried to make the best of a campaign October surprise where a tape surfaced showing Trump making lewd comments towards women. Trump attacked Bill Clinton’s past marital issues when prodded on his comments about women. Trump was very short on answers and details in his responses to the audience and moderators, opting instead to attack Hillary Clinton’s political career. The candidates didn’t shake hands at the beginning of the debate, but did at the end. The internet even brought up Trump’s sniffing during the debate, accusing the sound techs of playing with the audio levels, when Trump may have been holding the microphone too close. Trump even disagreed with his running mate Mike Pence on the Russia Syria issue, stating that Syria is not in control of the country any longer as Russia has stepped in to fight ISIS there. He accused Clinton of allowing ISIS to spread to Syria and countries around the world. Hillary Clinton opted to draw a more optimistic picture of the country in contrast to Trump’s dark negative vision of the future if he isn’t elected. Hillary defended her role in the Obama Administration in response, from the Affordable Care Act to Syria. 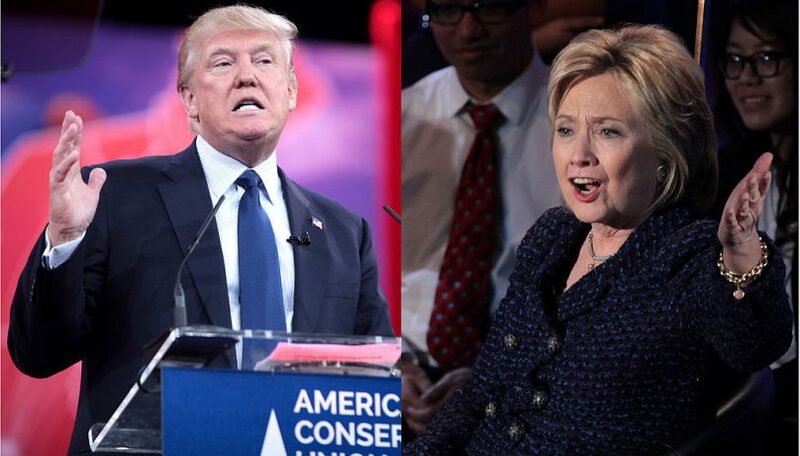 The next and last presidential debate is October 19.